Photoelectrics: Complete line of photoelectric sensors, optotouch buttons, special purpose sensors and fibers. 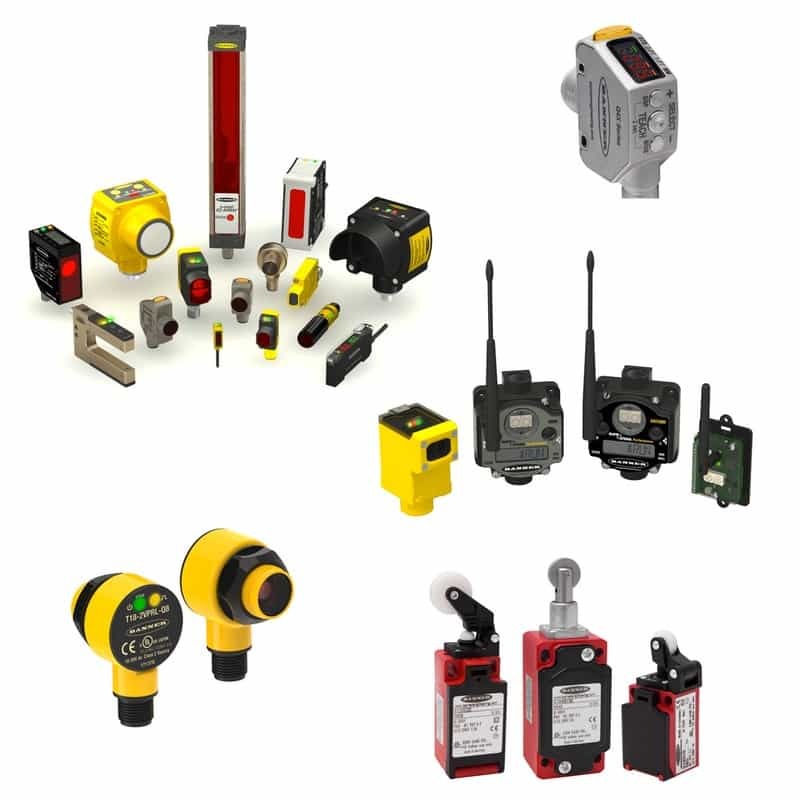 Machine Safety Devices: Safety Light Curtains, two hand control, safety controllers and a full line of safety switches. Vision Sensors: Full Featured Two-Piece or One-Piece models, Universal Software Platform, Gray Scale, Color, VGA and High Resolution 1.3 MP Models, Sealed IP68 Models Available. Full Line of Visions Lighting. Wireless I/O System: MultiHop, Point-to-Multi Hop, Point to point, data, and ethernet radios. IP67 and Class 1 Div 1 radios, and a full line of antennas, solar panels and battery powered modules.